Conan is one of those characters that you get to play with a bit. 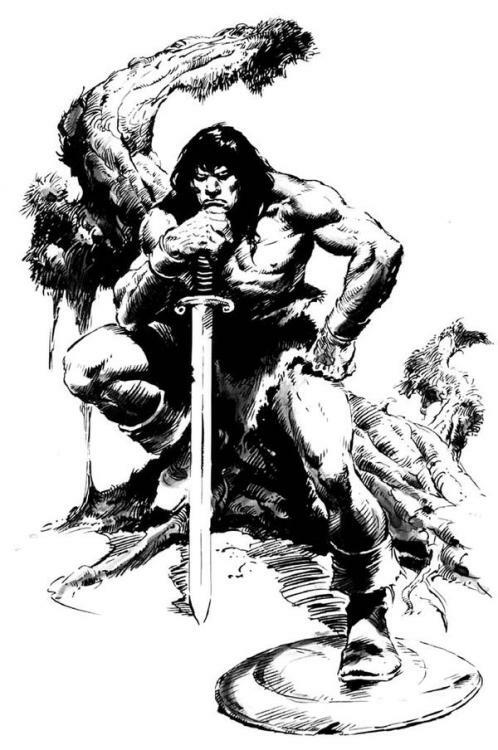 Between Robert E. Howard and numerous other novelists' takes and the many comic book and other media takes out there, there is less Conan canon than one might expect. Director Marcus Nispel (Pathfinder, Friday the 13th ) takes the classic approach to a perhaps new place at the beginning. Conan is born on a battlefield, his mother fully armed, his father cutting him from the dying woman while surrounded by the enemy. That, my friends, is the birth video of one of fantasy's greatest heroes. From here, sadly, things go a little awry for me. 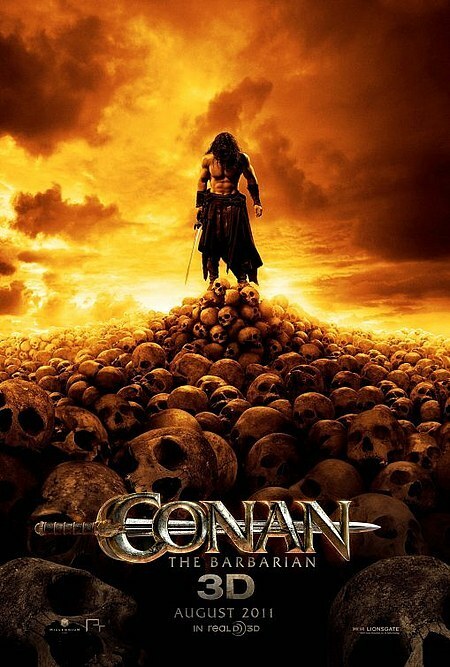 Conan is a bit chatty for my tastes, though actor Jason Mamoa (Game of Thrones, Star Gate Atlantis) does a nice job of making him the "a thief, a reaver, a slayer of men" version of the character we love. He looks like a John Buscema Conan. There is a lot of blood on Conan's hands, and it shows in his face. He is not the bumbling hick from the Schwarzenegger Conan, but rather the established, piratical Conan which comic fans are perhaps more familiar (maybe they should have added Bêlit?). Despite there being a lot of classic Conan elements here, I do not think this will be the fantasy classic we had in the 1982 Schwarzenegger film. It is good, and in many ways more entertaining than its predecessor, but... there is something lacking. 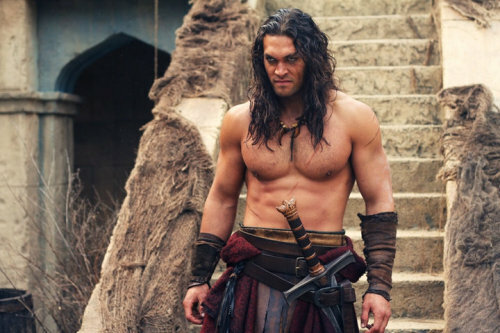 It smacked a lot of Hercules/Xena, and perhaps felt too much like it should be on television. The fight scenes were far superior, but again... There is something missing. I was talking to Shon Richards about this, and he agreed there was something neither of us could put our finger on that was lacking, though we both enjoyed the young Conan portion of the film. Maybe they should have stuck with that idea? Fantasy fans should give this a watch. There are much worse barbarian movies out there. Unfortunately though, Nispel's previous Pathfinder is a superior film. Wow, if it's worse than Pathfinder I don't know if I could stand it. That movie had Vikings who didn't know you could fall through ice. Hah! I forgot about that, and think they did the same thing in Conan once, but it was a "Pop teaching his kid a thing or two" scene. I liked Pathfinder, but it is not high on my list of things to see/recommend.